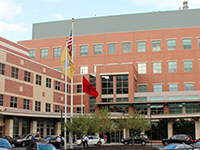 Through our partnership with University Hospital, Rutgers Cancer Institute of New Jersey at University Hospital provides NCI-designated Comprehensive Cancer Care services such as access to the most advanced cancer treatment options and clinical trials to the residents of the greater Essex County region to improve outcomes for patients and their families impacted by cancer. Learn more about the multidisciplinary patient care at Rutgers Cancer Institute of New Jersey at University Hospital in Newark. RWJBarnabas Health is the most comprehensive health care delivery system in New Jersey, treating more than 3 million patients a year. The system includes eleven acute care hospitals, three acute care children’s hospitals and a leading pediatric rehabilitation hospital (Children’s Specialized Hospital), a freestanding 100-bed behavioral health center, ambulatory care centers, geriatric centers, the state’s largest behavioral health network, comprehensive home care and hospice programs, fitness and wellness centers, retail pharmacy services, a medical group, multi-site imaging centers and four accountable care organizations. 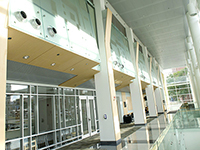 Rutgers Cancer Institute along with its partner RWJBarnabas Health, offers patients access to the most advanced treatment options including clinical trials and novel therapeutics such as precision medicine, and immunotherapy – many of which are not available at other facilities across the state. 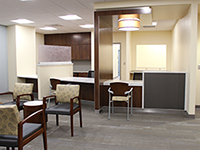 Patients have access to this state-of-the-art treatment throughout New Jersey at RWJBarnabas Health or at Rutgers Cancer Institute. The unique partnership combines the strength of both entities bringing world class cancer care close to home.